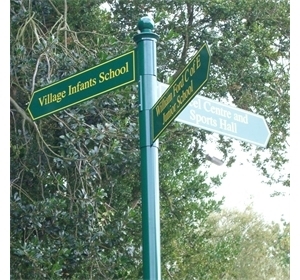 'Popular' AS760 Finger Post Sign System. Made from 3mm solid aluminium fingers. Extruded aluminium posts that won't rot or rust. 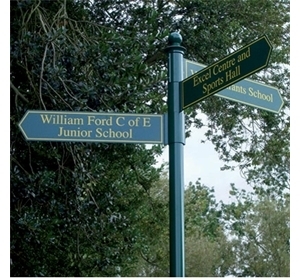 Painted to any Ral colour or to match your school colours. Each finger is fully adjustable to point in any direction. Robust and built to look good and to last. 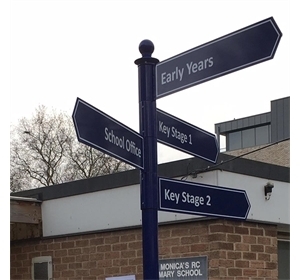 Finger posts are the age old way to point the way. 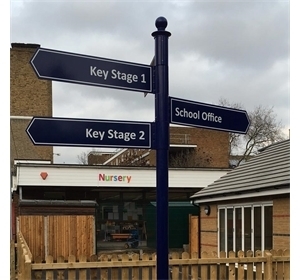 They are simple, easy to install and to adjust, and they are the perfect way to guide and direct pupils, staff and visitors around the school site. 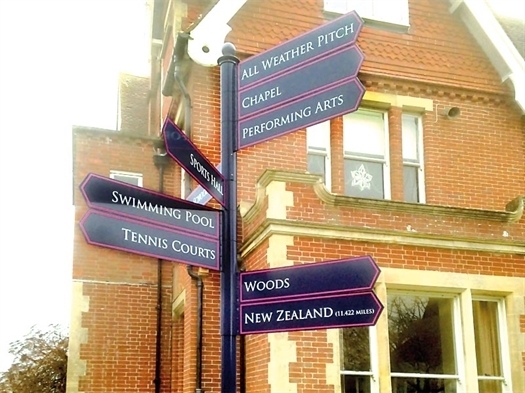 Available in a variety of colours and designs these sign will help you stand out from the crowd. Add a ball finial to complete the picture.